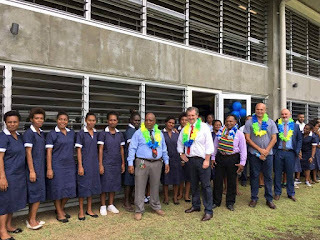 Students of the Lae School of Nursing in Morobe Province will now benefit from the new infrastructure support provided by the Australian government. 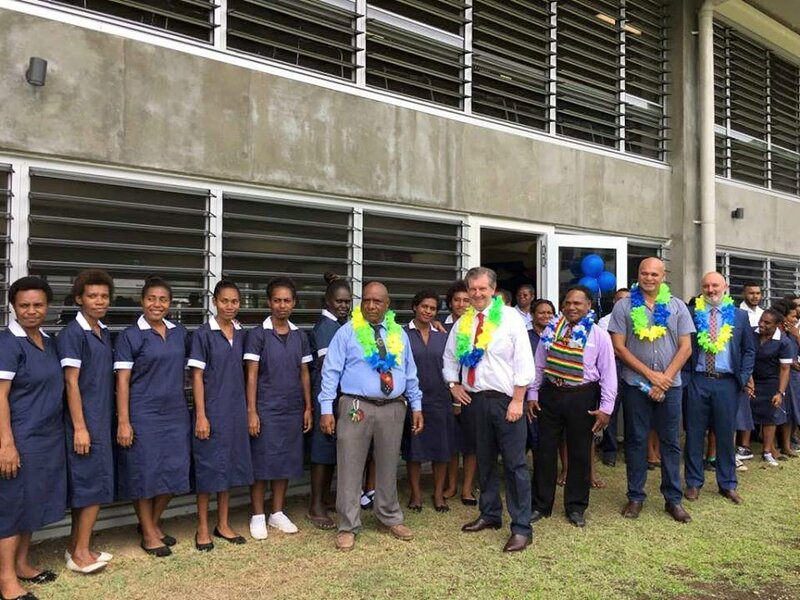 Minister for Health and HIV, Sir Puka Temu and Australian High Commissioner, Bruce Davis opened the new Academic Building at the Lae School of Nursing today. The major infrastructure upgrade support worth K25 million and is part of the ANGAU Hospital redevelopment project, an initiative under the Joint Understanding between the Governments of Papua New Guinea and Australia. Developments include the renovation of the administration building and construction of a new academic building complex. The new building complex includes tutorial rooms, a computer lab, library and student mess. Security lighting has also been installed to enable students to access school facilities and ANGAU hospital for clinical practicals in the evenings. The new facilities, have the capacity to cater for over 300 students and will deliver a conducive teaching and learning environment for both staff and students. The Lae School of Nursing was established in the 1960s and has a longstanding relationship with ANGAU Hospital, which continues as the school’s teaching hospital.